The tune featured vocals by St. Louis, MO singer/songwriter Angel Olsen and appearances by Ament’s bandmates Mike McCready and Matt Cameron. The clip was directed by Ament, who revealed the inspiration for the footage, which was filmed entirely inside a car with the rocker behind the wheel. 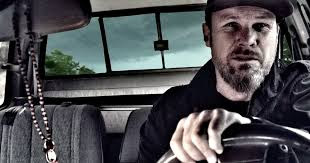 "I was seeing Cormac McCarthy's The Road – you're driving to the coast and you're trying to get away from the nuclear winter and you have your dogs in the car and you're just trying to escape this horrible apocalypse that just happened," Ament tells Rolling Stone. "[The directors] asked me what I wanted [the video] to look like and the first thing that came to mind was grindhouse. "I always loved the super high-contrast, dark look of that. It's the world coming to an end and trying to have a sense of humor about it." Ament recorded the project between June and October 2017 with producers John Burton and Josh Evans at Horseback Ridge, Litho, Studio X and Warehouse studios in Seattle, WA. Pearl Jam will begin a European tour in Amsterdam on June 12 and play a brief run of select US stadiums in August.